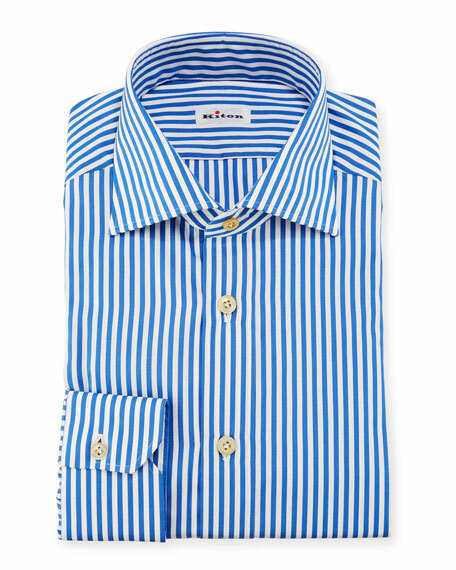 Kiton dress shirt featuring bold stripes. Ermenegildo Zegna Trofeo?? 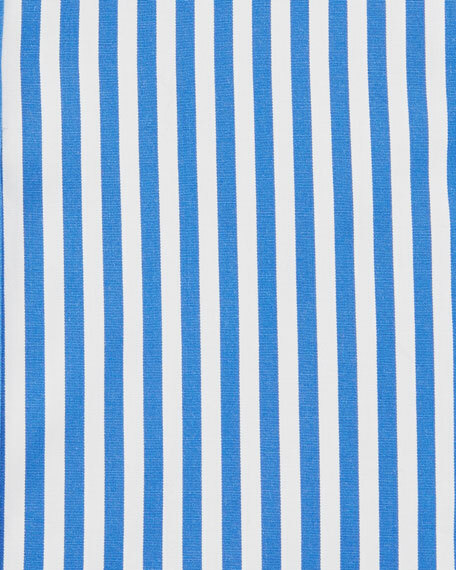 dress shirt in twin stripes. Spread collar; French-placket button front. Mitered barrel cuffs. Yoked back shoulders. Shirttail hem. Cotton. Imported of Italian material. Isaia dress shirt in gingham check. Spread collar; French-placket button front. Mitered barrel cuffs. Shirttail hem. Slim fit. Cotton. Machine wash. Made in Italy.